With 12 new updates, August has been a busy month for the industry leaders Bing and Google. We have seen new innovations from both businesses, with a focus on making mobile better from Google, both with a new optimisation tool for mobile and introduction of the Universal App Campaigns (UAC) feature. We also see everything from thought leadership through to administrative Terms and Conditions updates. Bing also gives us some fascinating insight into the dmexco 2017 conference. Earlier in the year at the Google Marketing Next event Google announced the introduction of the “Landing pages” into the AdWords experience. This page allows you to quickly and easily identify pages that are performing well in terms of converting customers to the desired outcome. With the understanding that 64% of mobile visitors will switch from your landing page to another page or website if it does not fulfil their needs, shows well the requirement for high performing landing pages to be well geared towards mobile viewing. The new “Landing pages” area of AdWords now give a rating in terms of Mobile-Friendly Click-Rate. This tool can be used in tandem with the new performance indicators to prioritise the best performing pages for mobile friendly updates by the webmaster. Google recently announced that they will be integrating AdWords app install campaigns to Universal App Campaigns (UAC) later in 2017. This is going to make adverting applications a lot easier as it can all be run from one central point of control. Added benefits to this move includes the ability to access exclusive ad placements such as the Home and App listing pages in the Google Play Store. Google have also introduced machine learning in order to create better targeting and understanding of your potential app customers. You can get more details on the move to the UAC here. And for further information click here. Unless you are a contract law nerd, this may not be the most interesting update from this months news, but it is certainly an important one and one that all those using the AdWords platform should be aware of. You will be asked to agree to the new T&Cs the next time you log in to your AdWords account. For more information on these updates you can click here. As we see a rising trend for users wanting information quickly we have seen an ever-increasing growth in mobile usage for searching the web. However, we have also seen a massive 65% of users quickly clicking off a site if the information they want is not readily to hand. Google have now introduced new updates on sitelinks, callouts and snippets to help those looking for specific information to find it quickly. Firstly, we have seen an update to useful tappable site links where users can navigate directly to a number of pages on your website from one ad. These links are going to be simplified by using both horizontal and larger vertical links on the ads. Another simple update to snippets and callouts means that instead of being included in a new line under your ad they will now be in-line with your ad copy in paragraph form. For more details on this update just click here. Digital Transformation is the buzz term this year and will feature largely at the upcoming dmexco conference. With this in mind Bing, along with their parent company Microsoft will be showcasing some of their leading and innovative technologies at the event. With a focus on how brands and consumer interact with the introduction of new innovations such as voice search, cognitive services, bots and AI. 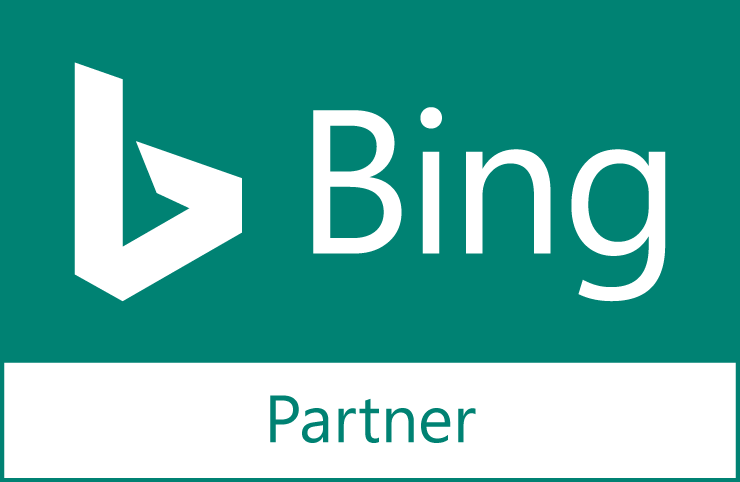 Bing will be hosting a key booth at the event as well supporting key personnel and associates who will be speaking throughout the conference. For more details on what Bing are presenting you can read the full update here. As part of Bing’s push to supports its users in creating seamless search advertising they hosted a webinar on the automation of ads on the 17th of August. The online event was delivered to help users automate both the mundane day-to-day tasks of using the platform as well as the more substantial tasks that can take a bit more insight to deliver. For more information on this webinar click here. Bing recently announced that they will be updating their relevance and quality policy to help enhance a positive user experience. In theory, this will have little or no impact on advertisers with the site, however some poor performing ads or keywords may be removed as a result of the update. If you want to find out more about the update or read the updated policy you can here. Unsurprisingly Google are pretty hot on data when it comes to improving marketing effort. But they now have the data to prove it. A recent study compiled by Google alongside Econsultancy shows that 60% of leading marketers routinely take action based on analytics and are 48% more likely than mainstream marketers to say that their strategy is strongly based on data. The report has highlighted a number of interesting finds, you can read key results and the full report by clicking here. In addition to the findings highlighted in the previous update, through the same research collaboration, Google found that one of the key issues in data marketing is the abundant presence of data silos in organisations where key data is not being shared across the required network of individuals to make strong decisions for the business. In this update they give a number of tips and pointers on how to limit this happening. You may have heard of Sigma Sport as one of the leading retailers of road biking and triathlon gear. Their recent marketing goal was to find and keep customers with a higher lifetime value for the brand. To help them achieve this they turned to their agency Merkle | Periscopix who ran an experiment through Google Optimize 360 to test how they attract and engage these customers out of their existing database. The experiment drove a 28% rise in revenue and a 32% increase in e-commerce conversion rate. Google have recently announced they now support 37 new languages on their Optimize platforms. This is set to help multinational businesses with a strong link to agencies and other branches of their business abroad. To find out more about which languages are included you can click here. As if introducing 37 new languages to the Optimize tool wasn’t enough Google have also announced that they will now be providing a number of new Webmaster blogs in additional languages to help understanding and development of key areas in key regions. These new blogs will be available in Hindi, Russian, Turkish, Thai and Vietnamese. More information on this and other related updates can be found on this blog post. Launched over a decade ago with just four reports, Google Search Console has grown significantly over the years and now includes more than two dozen reports and tools for users. Google have now embarked on a redesign of the platform to make it even more user friendly and easy to use. Key updates will focus on generating more actionable insights, better support of your organisational workflow and faster feedback loops between yourself and Google. Click here for full details of these new updates. On Google ads, knowing which rotation to use can be tricky work. Because of this Google are simplifying the options and now just offer either “optimize” or “rotate indefinitely”. The latter option will do as it says on the tin, rotating ads indefinitely so each ad gets equal exposure regardless oif external factors. Using the optimize function will allow Google to gear which ad is shown depending on factors such as keywords used, search terms, location and device. As you can see it has been a busy month for Google and Bing. It is great to see both businesses making innovations on their platforms to make life easier for their users. Also, interesting to see the latest updates, innovation and news that Bing will be bringing to dmexco event, further showing their commitment to continuing to grow and improve their offering.